At East Stanley School, we regard the safeguarding of children as our main priority. We believe that we all have the right to be happy, to be safe and to learn. We all have the responsibility to make this happen. • The welfare of the child remains paramount. • All children whatever their age, culture, disability, gender, language, racial origin, religious beliefs and/ or sexual identity have the right to be protected from harm. • All suspicions and allegations of abuse will be taken seriously and responded to swiftly and appropriately. • All staff and volunteers working at our school have a responsibility to report concerns to the designated leads for Safeguarding: Mrs Williams, Mrs Storey and Miss Hall. • Staff & Visitors – ensuring they are vetted, informed & trained. • Children’s Behaviour – promoting safer & happier behaviours & lifestyles. • Parents & Carers- promoting links & supporting families. • Premises – keeping them safe, pleasant & fit for purpose. • Curriculum – providing positive, life affirming learning experiences. • Outside School – ensuring safer activities and environments outside school. We are all responsible for ensuring that each child remains safe, however the Designated Leads for Safeguarding are Mrs. Williams, Mrs Storey and Miss Hall. Staff are trained in child protection issues and they are aware of the procedures to follow. Staff are encouraged to be vigilant in order to maintain the safety of our children. All Staff & Volunteers are given a copy of ‘Behaviour Guidelines for Staff & Volunteers’ and are directed to the document ‘KEEPING CHILDREN SAFE IN EDUCATION 2017’. All staff have an up-to-date understanding of safeguarding children issues and are able to implement the safeguarding children policy and procedure appropriately. All our policies are in line with current guidance and procedures. • comments children make which give cause for concern. • information about who has legal contact with the child; and who has parental responsibility for the child. To the Chair of Governors. 4. To the Local Authority. In order to ensure that best practice is maintained, our policies are reviewed regularly to incorporate the latest statutory guidance. 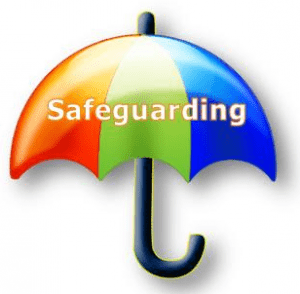 If you would like more information on safeguarding, please contact the school for all of our policies or view our policies section on our website.